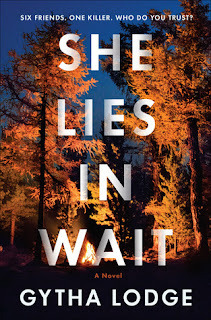 She Lies in Wait is one terrifying novel. Seven teenagers go camping. One of the teens, Aurora is dead. Six come back alive. It is more than obvious that one of the remaining teens is a murderer. This was in 1983 and the case remained unsolved. It is now thirty years later and Aurora's bones are discovered. It is apparent that only one of the six knew about this place and DCI Jonah Sheens is now in charge of solving this cold case. When Jonah was a young cop back then he knew the teens. Now he must interview each of the five remaining, all now in different walks of life. As this story is told, it is relayed in the past and present, and Jonah excels in ferreting out the correct facts. It certainly is not black and white. Each of them was profoundly affected by the murder. So, which of them could have done this terrible deed? After all, at the time they were all aged 14-18. As Aurora is the girl that was killed, quite a bit of the story is told from her point of view in the time leading up to her awful death. Jonah is no-nonsense. He might be just a bit too close to the facts, but he carefully checks out each recollection and any clues that come his way. What Jonah discovers is that pretty much everyone is a liar and that they are all holding secrets very close to the vest. Hopefully, Aurora can truly be laid to rest. It was a complete accident that her bones were discovered. Now all of the other adult lives are called into question. When the actual interview questions and their corresponding answers, as well as the eye contact and body language Jonah witnesses after he brings the six friends together, he realizes that it is evident that someone is most certainly lying. Also, there must be a cover-up. While it may be true that only one of them is a killer, it is more than clear that someone else knows more than they are saying. How intriguing! I was kept engaged throughout this story and was right there right along with Jonah as he was investigating this case. I enjoyed the twists and turns and most certainly the shocking conclusion. As a debut author, Gytha Lodge has done a fine job delivering this story. I look forward to her next thriller as I cannot wait to read more cases that Jonah gets to solve. Many thanks to Random House and to NetGalley for this ARC to review in exchange for my honest opinion. Gytha Lodge is a multi-award-winning playwright, novelist and writer for video games and screen. She is also a single parent who blogs about the ridiculousness of bringing up a mega-nerd small boy. She has a profound addiction to tea, crosswords and awful puns. When not writing, she heads up a copywriting team at a global translation firm, where she generally tries to keep all the video-game writing to herself. She studied English at Cambridge, where she became known quite quickly for her brand of twisty, dark yet entertaining drama. She later took the Creative Writing MA at UEA. She has signed with Penguin Random House worldwide for the first three books in her crime series featuring DCI Jonah Sheens. She Lies in Wait will be released in January 2019. Now, this sounds interesting, great for me! You always manage to find some great sounding mysteries. I'll be adding this one to my TBR too. I really like the sound of this and am adding it to my TBR. Great review, this is my kind of book. Sounds like a great thriller.. adding to my TBR! 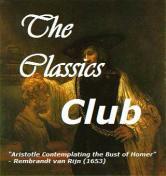 Amazing review Robin, this book looks and sounds like an amazingly fantastic mystery and thriller book. I really need to check it out one day, thank you so much for sharing your awesome post and for putting this book on my radar.